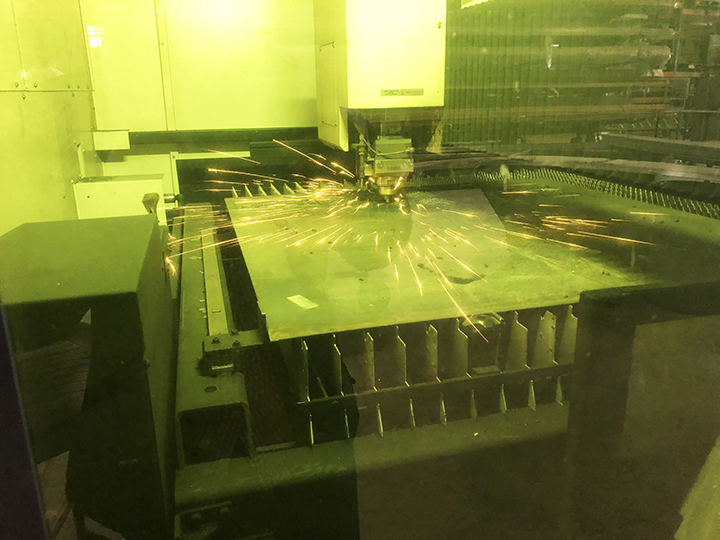 Our Mazak laser machine will cut stainless steel, hot roll, cold roll or galvanized metal. This machine allows for intricate cuts on metal sheet sizes as small as 26 gauge metal all the way up to ¼ inch. Maximum sheet size is 4 foot by 8 foot. 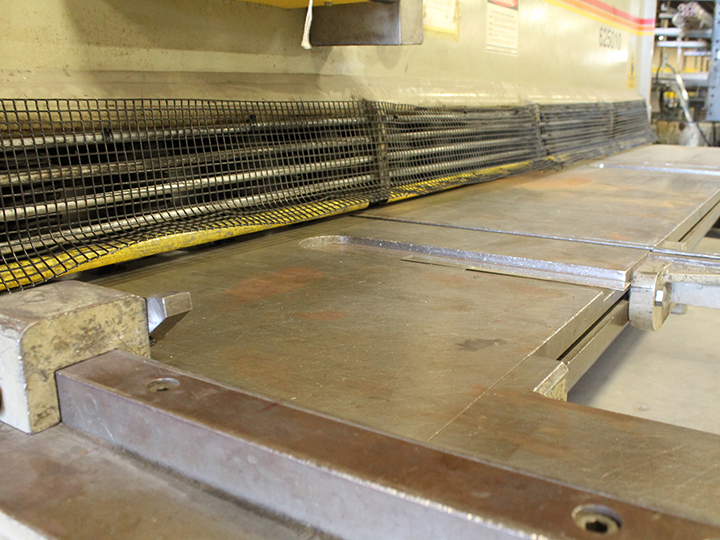 Our Accurshear machine from Accurpress is utilized for straight cuts on sheets of metal up to ¼ inch in size. 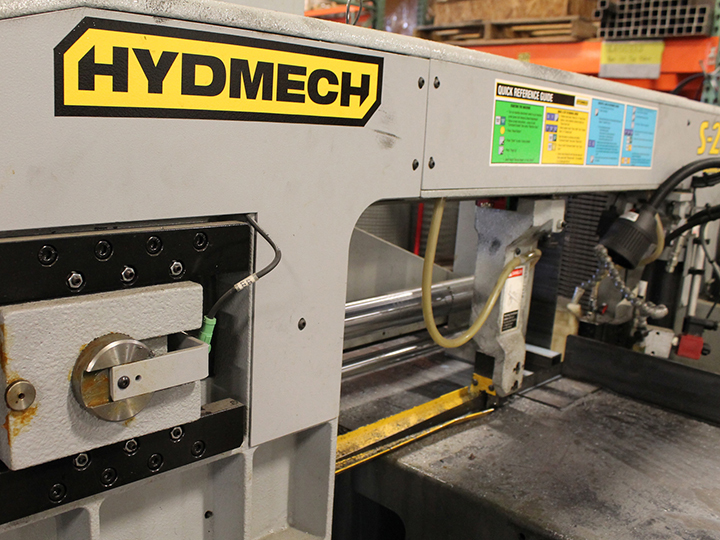 The HYDMECH metal band saw cuts square tubing, round tubing or rod and can cut up to a 12 inch by 12 inch piece of metal tubing. It can also bundle cut metal tubing and the machine will auto feed the tubing to specific dimensions to speed up the cutting process. The Kalamazoo Machine Tool (KMT) Cold Saw cuts one tube at the time will also cut stainless steel or hot roll tubing at angles. 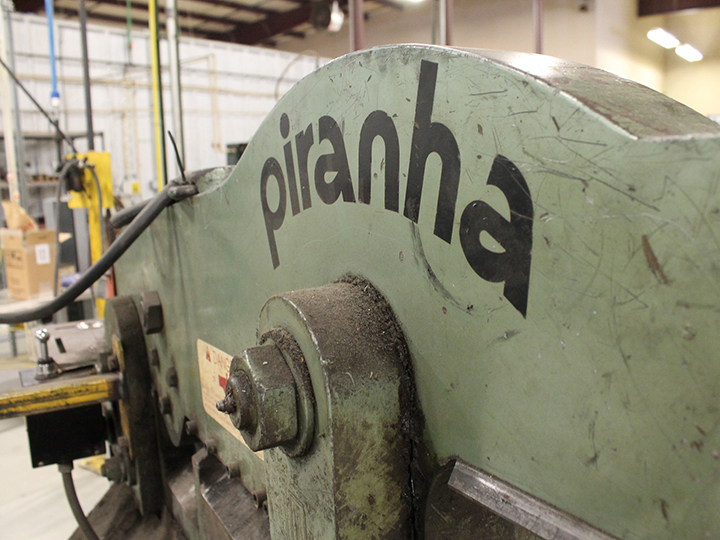 We have 2 Piranha ironworker machines for shearing, punching and forming metal. Another cutting option is the wire straight cut machine from Lewis Machine. Our machines are able to cut either square or round tubing in the range of ¼ inch up to 4 inches in diameter.